These days, we are loving the opportunity to bring our dogs into the Healthy Living office during the workday. It has been amazing being able to have our best buddies along to work for both productivity and peace of mind. Our pets can help reduce our stress. - "When stress hormone levels spike, blood glucose levels have been known to rise significantly. The decreased stress and anxiety that interaction with animals can provide can positively affect blood glucose levels as a result!" Our pets can help prevent loneliness. - " One major cause of stress, anxiety and depression is the feeling of loneliness. Having a beloved animal that provides consistent, unconditional love is a great way to battle these feelings and avoid those blood sugar-spiking hormones that come along with it." Our pets encourage us to exercise. - "People who own pets (and dogs in particular) on average get more day-to-day exercise than people who do not have an animal to walk and care for. Exercise is a natural way to speed up insulin absorption and lower BG levels." Our pets help motivate self-care. - "The added responsibility that comes with pet ownership can make you more aware of the importance of your own health. Your furry friend depends on you! Out of that love, you may love yourself more." The quotes above are directly from the Beyond Type 1 article "Can Pets Help in T1D Management?" Settle in and take some time with a fluffy friend to help prevent and relieve stress and burnout from diabetes (or any other cause!). There is a substantial connection between diabetes and heart disease. In fact, the American Heart Association reports that if you have diabetes, your risk of developing heart disease is more than double that of the general population. To better understand how cardiovascular disease and diabetes interface in the human body, check out the video, Break It Down: Diabetes & Heart Disease and the associated healthline article. This video, featuring Dr. Priyanka Wali, explains the link between these two diseases and emphasizes that lifestyle changes can have a huge impact on improving health outcomes. Check out the healthline page, Get to the Heart of Type 2 Diabetes, for more related articles. Let’s keep reading, keep learning, and keep moving! I absolutely love this news that we found about Quincy. He is a male koala living at the San Diego Zoo, who has been diagnosed with type 1 diabetes. Thanks to CGM technology, his life has dramatically changed for the better. This article explains that, “Diabetes has rarely been documented in koalas, and animal care experts do not know what may have triggered this condition in Quincy.” As part of his treatment plan, the vets at the San Diego Zoo have teamed up with Dexcom to better manage Quincy’s blood sugar levels through the application of a continuous glucose monitoring system. Quincy is using the new Dexcom G6 CGM system. Koalas normally sleep during the day and are mainly solitary animals. This system markedly increases Quincy’s quality of life because he can avoid pricks to his ears to check his blood sugar and can be disturbed less often overall. Instead, the sensor and transmitter placed on Quincy send his blood glucose levels in real time to a smart device monitored by his caretakers. Check out a video of Quincy and his vets in action. We hope that Quincy's story helps promote a greater awareness of CGM therapy! If you are living with type 1 or type 2 diabetes and have commercial or Medicare insurance, you may qualify to begin CGM therapy. Reach out to our team at 866.779.8512 to learn more and start the enrollment process now. Have you checked out Diabetes Mine? This blog helps me keep current on happenings in the diabetes world, especially around new technology for people living with diabetes. This particular article is worth checking out: Fitbit Going All In on Diabetes, Roping in Insurers. It walks us through the many investments that Fitbit is making, as well as the partnerships the company is forming, to build a stronger foundation of support for the diabetes community. most recently, working with major insurance provider UnitedHealthcare on a pair of fitness and glucose monitoring program. 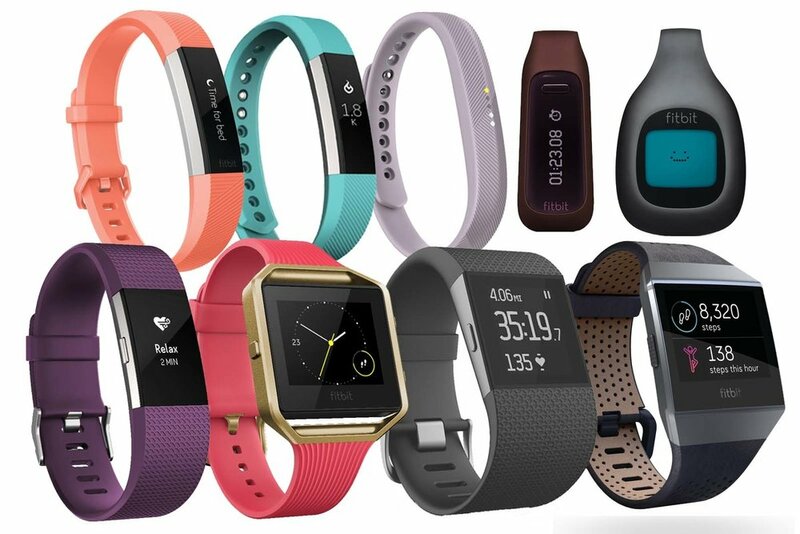 The article includes more details on each of these bullets, explaining that another interesting step that Fitbit has taken is their investment in Sano Intelligence, a company that is developing "minimally invasive" CGM technology. All of this is great news for people with diabetes, and those who support and serve them. We are excited to see how all of this will unfold! Nothing can beat the freedom of summer. I am sad to say that back-to-school time is coming back around the bend. There are many resources that can help you and your kids get ready to head back to the classroom with diabetes. Enjoy August and savor the rest of your summer! In the project called DermalAbyss, the “body surface is rendered an interactive display.” In collaboration, MIT and Harvard Medical School researchers are creating tattoo ink that has biosensors to respond to changes in the body, such as blood sugar, pH, and sodium levels. The ink color shifts in response to changes in interstitial fluid. This work could be of special interest to people with diabetes. The sensor ink changes from blue to brown as blood sugar rises, and researchers hope that one day users will be able to monitor their glucose levels and need of insulin through their own tattoo color changes. DermalAbyss “blends advances in biotechnology with traditional methods in tattoo artistry” and is currently in the proof-of-concept change. The next challenge for the researchers will be to test the biosensor liquid in animals for adverse reactions and possible allergies. And of course the biggest goal is to make the tattoo indicators as accurate as possible, as reliable as a blood glucose test. If you are living with type 1 or type 2 diabetes, Continuous Glucose Monitoring (CGM) can help you make more informed treatment decisions that can lead to better glycemic control. Learn more about CGM through three of our most valuable blogs from the last year. Why is CGM so helpful? How do insulin pumps and CGM work together? Who can benefit from CGM? How does Healthy Living help you get started with CGM? What information will I get from Continuous Glucose Monitoring (CGM)? Can I set a safe range for my blood glucose readings? Do I still have to test my blood sugar when I am using CGM? What parts make up a CGM system? Do I need an insulin pump to use CGM? What types of CGM systems are available right now? How long can I wear CGM sensors before I need to change them? Can I use the same insertion site for my insulin pump and CGM sensors? Can parents and other care team members access a patient’s CGM data? Can I view CGM data on a smartwatch? Is CGM covered by insurance? This blog describes what we currently know about the process and progress Apple is making in creating a continuous blood glucose sensor that does not break the skin to pair with the Apple Watch. You can reach our Insulin Pump & CGM Therapy Team for more information via phone call at 866.779.8512 (Option 2) or text message at 248.577.9903. The Medtronic MiniMed® 670G System is the world’s first hybrid closed loop insulin pump system, sometimes referred to as an artificial pancreas. The system constantly self-adjusts to automatically keep your sugar levels in range, based on how you live your everyday life. This FDA-approved system is specialized for type 1 diabetes patients, ages 14 and over, and requires a prescription. The Medtronic MiniMed® 670G System is now shipping. 1. Manual Mode – Suspend-before-low option helps you avoid lows and rebound highs proactively by automatically stopping insulin 30 minutes before you reach pre-selected low limits, then automatically restarting insulin when your levels recover (without alerts). 2. Auto Mode – Automatically adjusts basal insulin delivery up and down every 4 minutes, based on your sugar levels, to keep you in target range, all day and night. The system can temporarily change your glucose target during athletic activity to help maintain a safe range. 3. Guardian sensor 3 continuous glucose monitoring sensor – Offers seven-day wear and easy insertion, and is the first and only CGM sensor that is FDA-approved and trusted to control insulin dosing. Glucose levels are automatically kept within range all night long for a restful, uninterrupted night’s sleep. The system is waterproof, with a bright color screen. At meals and snacks, only check your glucose and enter the number of carbs when you administer a bolus. The 670G system will do the math to regulate your insulin and keep glucose levels in range without any necessary insulin injections. "I am experiencing very impressive results, yet I’m only testing 4-5 times per day and calibrating three times." "I’d say the best aspect is that the system itself is so intuitive and user-friendly. It’s always one step ahead, and the sensor is incredibly accurate." "It’s a relief! The day that it sinks in, when you realize that you’ve relinquished a majority of the control to the pump, is the day you begin to experience the freedom that so many of us haven’t had since the day we were diagnosed." "Living with T1D is hard, and staying positive can be even harder, but I’d like to remind everyone to appreciate just how far our industry has come. The technology that has been developed in the last few years is unbelievable! Let’s all be grateful that we live in a time where technology can help us lead normal lives, and that we can’t have unrealistic expectations and find a cure yesterday." Learn more about the 670G directly from the Medtronic website. Checking CGM data on an iPhone, image from pexels.com. Over a big group dinner the other night, I found out that there is a considerable amount of confusion about both what CGM is and the differences between CGM and insulin pumps. Hopefully this blog will help shed some light on these questions! 1. What information will I get from Continuous Glucose Monitoring (CGM)? CGM measures glucose in the tissue fluid throughout the day and night, about every five minutes, and sends the collected data to a receiver, phone, or insulin pump. This information can tell you how your glucose levels are trending, so you can make better decisions about your insulin dosing. 2. How can CGM help me manage diabetes better? 3. Are there additional benefits of CGM? Continuous glucose monitoring can help you make the best possible decisions since you'll be able to see your trend data provided by the CGM instead of basing choices only on a number from a blood glucose meter reading. You can also set thresholds for high and low numbers, and the CGM will alert you when it senses your glucose levels have moved out of the safe range you set. 4. Is CGM covered by insurance? Yes, CGM is covered by many insurance plans. Our Insulin Pump & CGM Therapy Team can help you obtain a prescription from your doctor, navigate the insurance verification process, and place your CGM system order. They also help customers with CGM supply refills. 5. What is the difference between CGM & insulin pumps? Continuous glucose monitoring collects information on your blood glucose levels. This information can be used for proper insulin dosing through your insulin pump. CGM and insulin pumps can be used separately (a person can use just one or the other) or together. Apple Watch, image from pexels.com. Tim Cook, CEO of Apple, told students at the University of Glasgow in February that he had been wearing a glucose tracker, and that it helped him understand the impact of different foods on his blood sugar levels. Fast-forward to April. News surfaced that Apple was developing a solution, integrated with its Apple Watch, to diagnose and manage diabetes, with a non-invasive sensor that continuously measures blood glucose levels. One month later – May. Tim Cook was spotted wearing a prototype glucose tracker that pairs with the Apple Watch around Apple’s campus. For over five years, Apple has had a team of biomechanical engineers working on developing a continuous blood glucose sensor to pair with their Apple Watch that does not break the skin. Their Palo Alto-based research team has already begun feasibility tests with the tracker they have engineered to date. Apple calls their challenging intention of creating this technology the “holy grail” in diabetes. "It's mentally anguishing to stick yourself many times a day to check your blood sugar," Tim Cook said, according to CNBC. "There is lots of hope out there that if someone has constant knowledge of what they're eating, they can instantly know what causes the response... and that they can adjust well before they become diabetic." Based on the description from CNBC, it sounds like the tracker Cook is wearing is a separate, independent unit that communicates to the Apple Watch over Bluetooth, as opposed to a feature integrated inside the Watch itself. Some are hypothesizing that Apple will sell the glucose tracker as an additional accessory. This could be especially helpful since the blood monitoring feature requires approval and regulation of the FDA. If Apple sells the tracker as a separate accessory, they will be able to avoid adding regulatory procedures to the production of the entire Apple Watch. One report indicated that Apple would manufacture smart bands that expand the Watch with additional functions, meaning the glucose monitor could become a part of one of those separate smart bands, which would communicate with the core Apple hardware. If Apple can successfully create this next-generation glucose monitor, it will transform the Apple Watch from a wearable accessory to a revolutionary health device, beyond heart rate and activity tracking. Tim Cook recently told a group: "This is an area where I'm very excited about Apple's contribution. Very excited." Dexcom is an existing, trusted leader in continuous glucose monitoring technology. Apple announced at their recent WWDC (World Wide Developer Conference) that they were releasing a Bluetooth API for their Apple Watch that would allow it to pair directly with health sensors such at Dexom CGM. Your Summer Travel Shouldn’t be a Battle...Follow These 5 Tips! With summer quickly approaching and warm weather upon us, we might all be getting the itch to take some time off and explore someplace new and exciting. Perhaps a long weekend trip to northern Michigan, or a visit to a bustling and bright city is on the horizon for you. For those individuals living with diabetes, however, it may feel difficult and restricting to take a long and relaxing break from their everyday routine. I am here to supply you with all of the necessary tools and tricks to manage your diabetes with as little stress as possible when visiting all those exciting summer vacation destinations. Following these few tips can help you worry less and manage better while away from home, exploring our beautiful world. See your doctor before you head out and possibly have a medical exam to ensure your diabetes is in good control. This will give you some peace of mind while away from home. Wear a medical ID bracelet or necklace that shows that you live with diabetes. This will be helpful in case of an emergency and allows others to be aware of your medical needs. A medical ID can provide crucial information about your health condition and also list allergies in case of an emergency. The ADA recommends that you pack twice as much medication and supplies as you think you will need for the trip. Keeping your supplies in your carry-on bag is important because checked luggage can potentially be lost (if you are flying), and this ensures your medication and supplies are with you at all times. Allow for extra time at the airport because security might take additional time with your insulin pump. Worried about your insulin pump malfunctioning while away? Worry no more! Medtronic offers a travel loaner program that allows you to take a back-up insulin pump with you on your travels. Here is the link to Medtronic’s webpage to apply for a loaner insulin pump. Keep in mind that it will take about two weeks to receive the pump, so plan accordingly. When traveling with insulin, especially if you are traveling by bike or car, you may have to take a few extra steps to keep it at the right temperature. Insulin does not need to be refrigerated, however if you store insulin in places that are too hot or too cold, its effects may be disrupted. Storing insulin in the glove box or somewhere in your car may not be the best option because of potential extreme temperatures. If you are traveling by car, bike, or you are out exploring in hot conditions, try using travel packs to keep your insulin cool. The insulin protector from the HLMS online store may be helpful when carrying insulin for your summer adventures! Go check out Beyond Type One’s travel webpage, which will provide you with various stories and tips from people living with diabetes who have traveled the world. Do not let diabetes hold you back from enjoying yourself, great adventure, and good company while you’re on vacation. After all it is called “vacation” for a reason, and it’s made for relaxation! Curcumin, which is found in the spice turmeric, has been found to help control blood sugar, improve insulin sensitivity, reduce diabetes-related complications, and even prevent diabetes. Check out this article to learn about turmeric, a potential positive addition to your existing diabetes management plan. A passionate diabetes advocate, Kelly Kunik wrote the very thoughtful post ‘Taking Your Diabetes to Work’ on the Mango Health blog this February. She talks about the importance of being ready for anything and makes great suggestions, like doing blood sugar checks before you hit the road to and from work. Kelly also gives tips about some of the best ways to communicate (addressing who, when, and how?) about living with diabetes with coworkers and supervisors. Kelly Kunik has lived with type 1 diabetes since she was eight years old. Her greatest perceived weakness (a busted pancreas) has become her greatest strength and biggest passion. Kelly is a diabetes advocate that authors the blog, Diabetesaliciousness. She’s also a writer, speaker, consultant, and creator of the #IWishPeopleKnewThatDiabetes initiative. You can find Kelly on Twitter @diabetesalish.